MOST ATTACKS AND REAL FIGHTS WILL END UP ON THE GROUND; LEARN WHAT TO DO! Why Should You Learn Brazilian Jiu Jitsu at Apollo's Martial Arts. 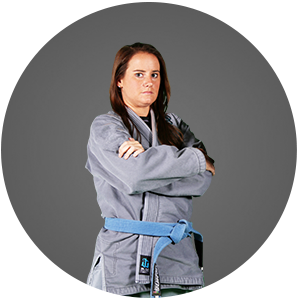 Machado Jiu-Jitsu is proven to be one of the world’s most effective self-defense systems. 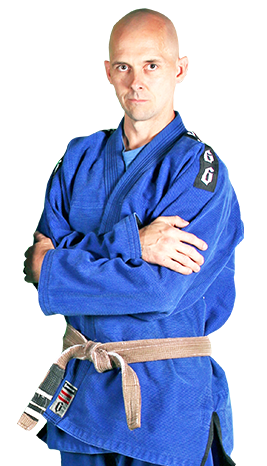 We provide world class Jiu Jitsu training and are an affiliate school under Master Carlos Machado, the highest ranked Brazilian Jiu-Jitsu Instructor in the Southwest. Because most if not all hand to hand attacks end up on the ground, today's Martial Artist needs to grapple WELL if they expect to win. That’s why we’ve developed our Brazilian Jiu-Jitsu Program to really boost your ground game. It doesn’t matter if you’re doing it for competition, or self-defense. We’ll show you everything you need to succeed. Our classes and curriculum provide a fast-paced yet easy approach to learning Jiu-Jitsu. Students are helpful to each other, and achieve great results in a short amount of time. Skills taught are realistic for self-defense and great for increasing fitness and stamina. Students learn from the start strategies and techniques to defend and survive the twelve most common street attacks in a safe and fun environment. Traditional meets modern at Apollo's Martial Arts. Let us help you reach your fitness goals while experiencing confidence and stress relief. Machado Jiu-Jitsu is a martial art that focuses more on technique and physics than size and speed, making it a perfect art for any person, any body shape, and any level of fitness. This will enable them to overcome attackers that might be larger and stronger than they are, making it an excellent form of defense for women. BJJ enables people to be confident in their self-defense ability without using kicks and punches, keeping themselves safe. Get fit and be more confident, while gaining effective self-defense skills! At Apollo's Martial Arts, it is our mission to help you become a confident, focused individual with the life-transforming skills of Jiu-Jitsu. Most people associate mixed martial arts with fighting, kicks, and punches. While we definitely practice drills that you can expect during mixed martial arts classes, the truth is that confidence and stress relief are some of the biggest benefits our members report! Apollo's has enriched and changed my life, benefiting me both physically and mentally. Not only does my training keep me motivated to stay in shape, while giving me the tools I might need to defend myself or my family. Hello, I am a 32 yr old female, and I have never been in shape before; didn't even do sports as a kid. My friend convinced me to come to class with her. I started May 1st at Apollo's and after 1 month of working through the initial soreness is when my addiction began. I love taking the karate AND cardio classes. I enjoy that my workout is learning a valuable life skill. I was never happy with weights, treadmills, bootcamps, or zumba type things. It was tedious and I couldn't make myself enjoy it. At Apollo's, instead of focusing on the numbers on the scale, I am trying to perfect my technique on a punching combo or a back thrust kick! I am moving up the chain of karate belts and becoming better every month. I was losing weight on the scale with just dieting, but in the last 4 months I've lost 2 pant sizes! (Disclaimer: I come 4+ times a week and am kinda dieting.) The biggest positive is that it's a fun, thorough workout that doesn't get boring, and between the staff and students, you will feel like part of a family.